the plane of today is the North American X-15, which was a rocket-powered aircraft operated by the United States Air Force and the National Aeronautics and Space Administration as part of the X-plane series of experimental aircraft. 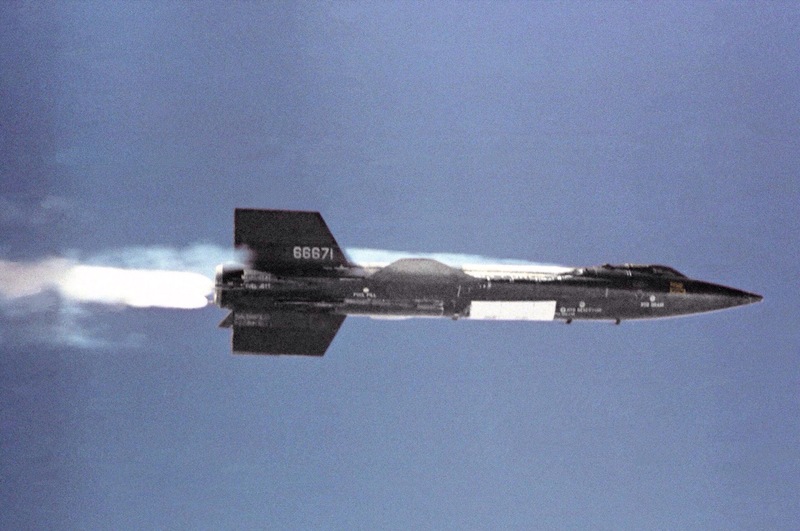 As of 2014, the X-15 holds the official world record for the highest speed ever reached by a manned, powered aircraft. Its maximum speed was 4,520 miles per hour (7,274 km/h), Mach 6 hypersonic. X-15 has a very thick tail that the tail itself is able to induce drag force as high as normal aircraft will produce as a whole. The increased drag force stable the aircraft during hypersonic flight. Like many X-series aircraft, the X-15 was designed to be carried aloft and drop launched from under the wing of a NASA B-52 mother ship, the Balls 8. Release took place at an altitude of about 8.5 miles (13.7 km) and a speed of about 500 miles per hour (805 km/h). 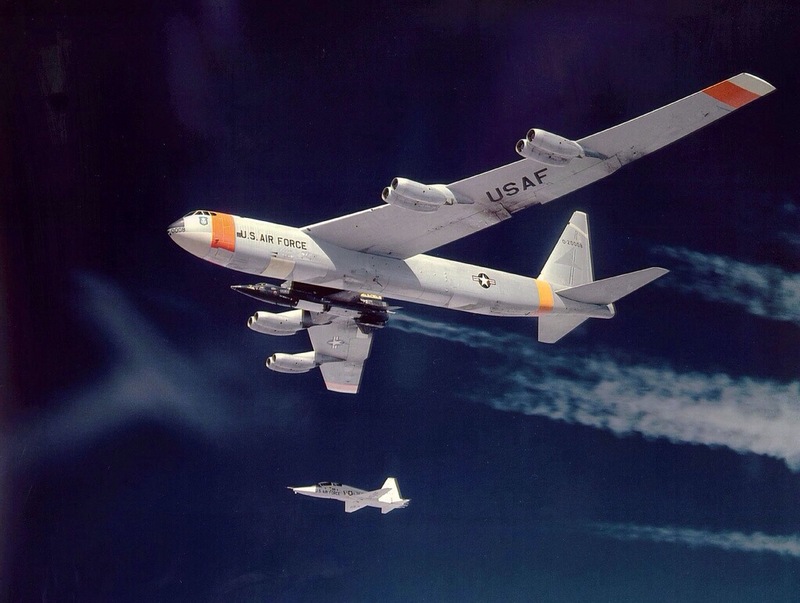 Here is the picture of B52, mother ship carry X-15.